What is the purpose of the Centre Feed Paper Towel Dispenser? The Centre Feed Paper Towel Dispenser is effective for restrooms that have a high volume of visitors. Dimensions of the dispenser measure in at 370mm for the height, 255mm for the width, and 260mm for the depth. The unit allows for 450 formats. 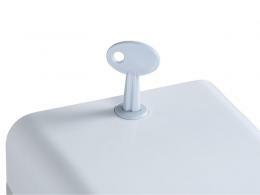 Construction of the unit is manufactured from smooth injection moulded ABS plastic. An added feature is the locking cover. If several of the kind of dispensers are purchased a universal key will work on all of them. Paper towels can be perforated or unperforated. There is a convenient tear off cleat and the dispenser is available in white. 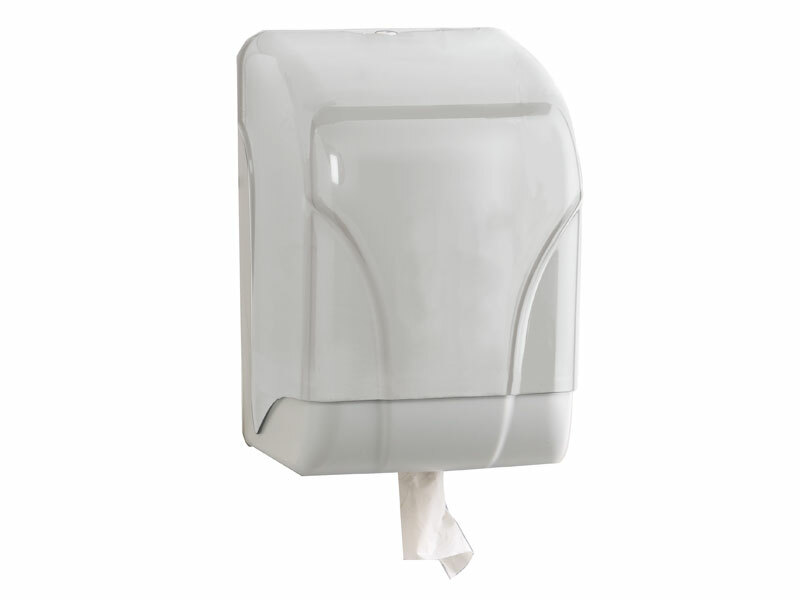 The paper towel dispenser can be used in rest stop restrooms, employee break-rooms, schools, and businesses. The unit can easily be fixed to the wall and can be used to update old dispensers. The design is modern and up to date. Having the paper towel dispenser is great for high volume bathrooms. The towel roll will need to be changed less often. Also, by the dispenser being locked paper towels can not be taken. 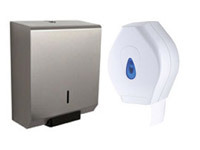 Employees, customers, students, and visitors will use the dispenser daily. The product is used universally by everyone. Employees will use the paper towel dispenser after trips the restroom during work shifts. Employees will like that the unit is easy to maintain and the roll can be easily changed out. The dispenser is made from high quality materials. The unit is highly durable under normal conditions.